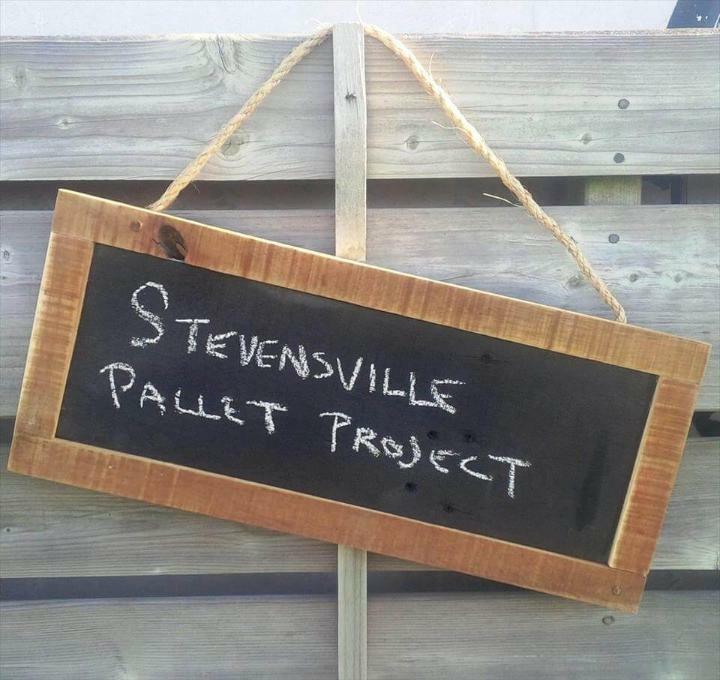 Play simple tricks with pallets to obtain highly functional objects out of them! 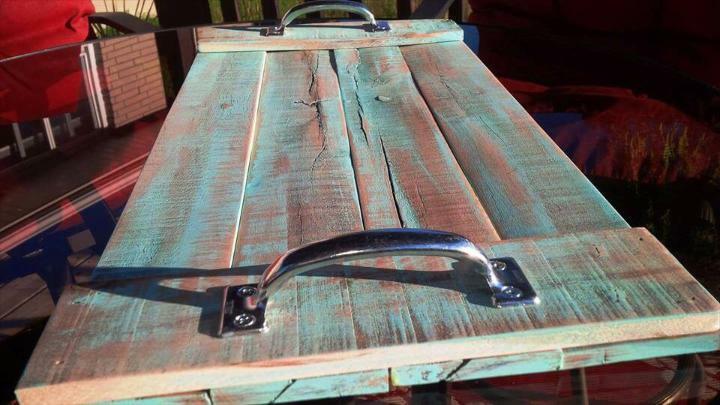 Here we are going to inspire you with this DIY distressed pallet serving tray which is all made of a few leftover pallet slats and will help you to serve the refreshments to your beloved ones in a style! Put flat 4 rustic pallet planks and just add the cross supports to backside to tie them as single unit, here these supports also comes with accent metal handles that are all mind-blowing to lift the tray up easily! Thin paint coats have been applied and distressed for a final antique appeal and you can also paint it modern! 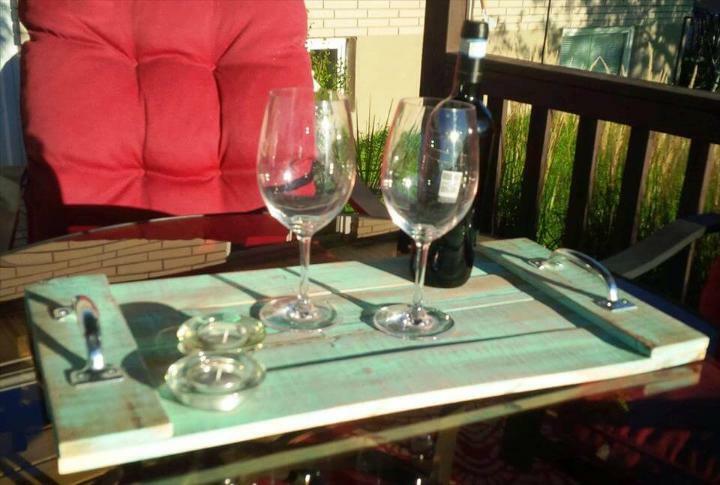 In the same way you can build the stylish wooden dining table trays, breakfast trays and also the custom laptop trays out of pallets without getting a bit expensive! 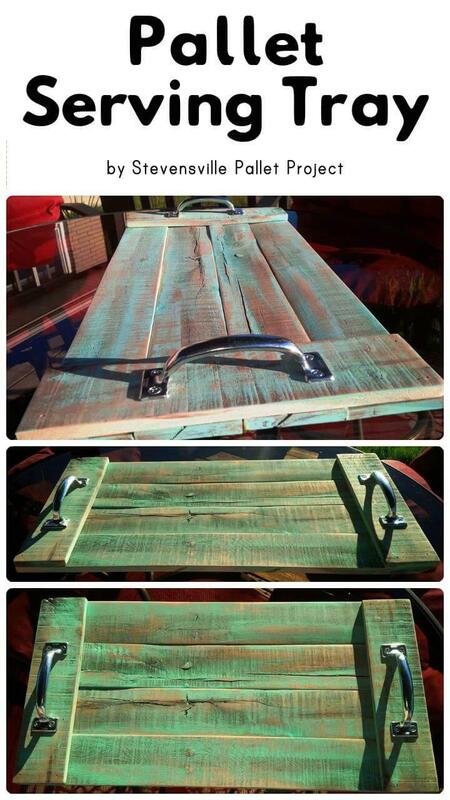 Get projects with pallet wood remains and do clone this fab wooden tray! 4 planks of pallets put flat, should be equally thick and long, you can easily pluck them apart from a complete pallet skid! 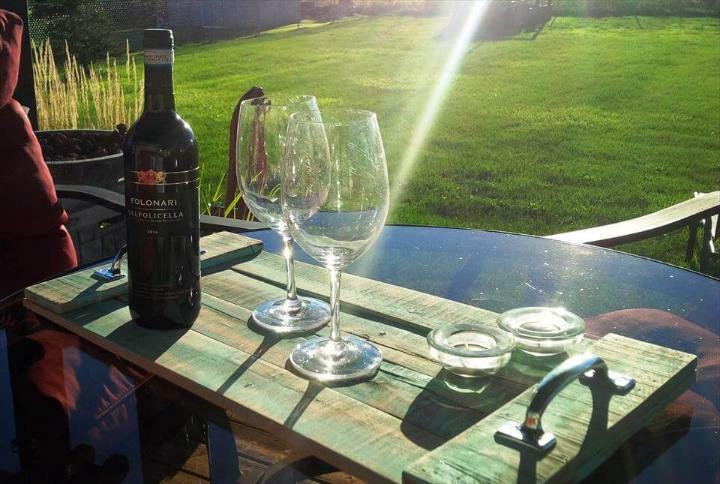 Hold them as one unit by adding cross supports and just finish this wooden tray up using reclaimed or brand-new metal handles! Apply a thin coat of chalk paint and just distress it for a brilliant antique appearance of the tray as done here! Now the tray is just ready to serve the refreshments to your family members and friends! Use it also to deliver the party drinks, here is a beautiful sample about how you can use it!